As the region’s metropolitan transit and transportation planning organization, the RTC strives to be at the forefront in making critical transportation improvements and infrastructure investments for the future of Southern Nevada. Accomplishing this feat requires partnerships with the entire community, including elected officials, business leaders, local governments and public and private organizations. To address technological transportation advancements as well as the region’s growing resident and tourism mobility demands, the Regional Transportation Commission of Southern Nevada (RTC) board of commissioners authorized RTC staff to create the Transportation Resource Advisory Committee and Community Collaboration (TRAC) in September 2015. The board also gave direction to develop and execute a community engagement plan to provide information about RTC initiatives and to seek input from Southern Nevada residents, partners, and a diverse network of organizations on the transportation and mobility needs of Southern Nevada. TRAC consists of thoughtful leaders and committed citizens who represent large sectors impacted by transportation-related issues and are dedicated to transforming transportation in Southern Nevada and moving our community forward. In addition, a Technical Advisory Committee (TAC) comprised of city and county managers, public works departments, the Nevada Department of Transportation, and financial and economic experts provides assistance to the committee, such as reviewing and evaluating transportation plans, proposals and funding structures. TRAC consists of members from a diverse base of stakeholders throughout Southern Nevada that represent large groups of citizens impacted by transportation-related issues. Each TRAC meeting is recorded, and meeting summaries are produced to capture discussions and any resulting decisions viewable here. TRAC complies with the Nevada Open Meeting Law. Community collaboration is a fundamental component of the TRAC process. Through extensive outreach, the RTC collected 7,000 survey responses between February and July 2016 from a diverse group of community organizations, business leaders, and neighborhood groups about their vision for the future of transportation in Southern Nevada. When TRAC began meeting in January 2016, Southern Nevada had identified $6.2 billion worth of unfunded roadway projects, and TRAC was challenged with finding funding solutions to accommodate these unmet needs. TRAC delved into six months of in-depth study of Southern Nevada’s economic forecast, current and future transportation infrastructure priorities, and available funding options. At the conclusion of the committee’s review, TRAC made the following recommendations that were presented and adopted by the RTC board. Many of these recommendations have been completed or are ongoing. Incorporate transportation values into the RTC’s administrative and planning processes and agency goals. Prioritize unfunded projects on a three-tier system based on transportation values. Encourage local jurisdictions to prioritize transportation values when submitting for project funding. Develop an online tool for future projects that provides greater transparency. Support Fuel Revenue Indexing as an historically viable funding option. Present the tiered project priority list and the funding recommendations to the local jurisdictions to encourage their support. From October 2016 to January 2017, TRAC focused on the second phase of RTC discussions: transit and emerging transportation technologies. TRAC had the opportunity to engage in conversations about the future of transportation mobility and the way it is evolving locally and regionally. Speakers from Los Angeles, San Diego and Phoenix shared their experiences and expertise with transit systems in regions similar to Southern Nevada. They discussed funding hurdles, growth challenges and how best to engage and inspire communities to support overall transportation investments. Through these discussions, TRAC understood the importance of emerging technologies and its potential impacts on the future of transportation mobility in Southern Nevada. These discussions played a significant role in TRAC’s final recommendations. Many TRAC committee members actively participated and supported key initiatives in the 2017 Legislative Session that is helping to provide the RTC with the necessary tools to help address our mobility challenges in Southern Nevada. Several members are also participating in On Board, our community’s comprehensive transit plan that will help identify how high capacity transit services, enhancements to the current bus system, and emerging transportation technologies can improve future mobility and accessibility for Southern Nevada residents and visitors. The plan is expected to be completed by fall 2018. TRAC meetings resumed in October 2017 for the third phase of RTC discussions. The committee is tasked with focusing on Southern Nevada’s mobility challenges that includes learning about current and emerging mobility developments and opportunities; engaging in smart mobility discussions and identifying how these efforts can impact and improve mobility, accessibility, and safety in Southern Nevada. TRAC’s Phase 3 conversations will help provide meaningful feedback and recommendations on how to best address and prioritize mobility solutions in Southern Nevada. Investigate funding sources for high capacity transit and emerging technology. Support RTC’s 2017 legislative initiatives. Encourage Public Private Partnerships (P3). Advance the Maryland Parkway project. Continue dialogue and cooperation with Resort Corridor properties. Utilize creative and broader usage of transit through current technologies. Leverage existing and emerging technology assets. Consider a blend of transportation mobility options. In January 2017, the transit and emerging technologies recommendations were adopted by the RTC board following completion of Phase II. Safety projects spread across Southern Nevada including school zone improvements, pedestrian bridges, upgraded crosswalks and pedestrian flashers. Congestion management projects including roadway expansion and increased capacity, like Clark County’s widening of the Beltway from six to eight lanes between Pecos Road and Windmill Lane. Roadway maintenance projects including pavement repair, sidewalk widening, landscape improvements and filling in sawtooth roads valley-wide. Connectivity projects including NDOT’s completion of the Centennial Bowl project at the 215 Beltway and US 95. A high-level list of commonly used acronyms used across various documents and conversations within the government sector. A high-level overview of the Regional Transportation Commission and all of its current programs and initiatives. A high-level overview of Transportation Resource Advisory Committee & Community Collaboration. A complete list of all Transportation Resource Advisory Committee & Community Members. In 2017 TRAC will actively support legislation to create an Interim Standing Committee on Transportation that will take a comprehensive look at funding options for highways as well as transit. Several members of TRAC will also serve on the oversight committee for the RTC’s High Capacity Transit Plan (HCTP). The HCTP will explore high capacity transit for urban areas and the latest transportation technology opportunities to create a multi-modal approach for the efficient movement of our residents and tourists. 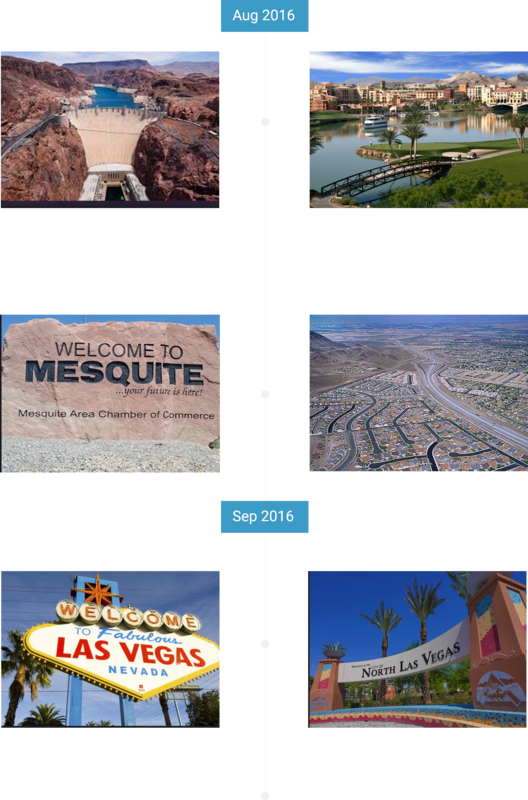 TRAC meetings resumed in October 2017 and is currently meeting to discuss Southern Nevada’s mobility challenges, new developments and opportunities; learn about smart communities, emerging technologies and how these efforts can impact and improve mobility, accessibility, and safety in Southern Nevada; and will be providing feedback and recommendations on how to best address and prioritize mobility solutions in Southern Nevada.